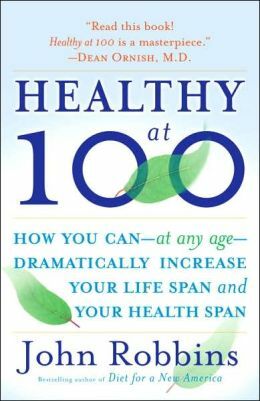 Bestselling author John Robbins (author of Diet For a New America) continues his beautiful work of helping people change the way they live with this no less beautiful book: Healthy at 100: The Scientifically Proven Secrets of The World’s Healthiest and Longest-Lived Peoples. By analysing the mysterious cultures of Abkhasia in the Caucasus, Vilcabamba, Hunza and the Okinawans in Japans, John Robbins demonstrates the similarities of lifestyles and social connections. How can we not be struck by the beauty of each of these communities, the simplicity in which they live and the loving relationships demonstrated in each of them. Based on that, the author presents several chapters showing each of the aspects of what makes these cultures unique: diet, fitness, social structures. He then takes the lessons learned from these people and show how we can apply their age old wisdoms to our daily lives. Nowhere does he preach to give up our modern ways but to reclaim what we have lost, our sense of community, our sense of what makes a good meal and our vision of what old age is supposed to be. He shows us the power of love, long ridiculed by « modern » medicine but embraced by these healthy old people. But the striking difference between these cultures and ours is how they treat their elders. They are valued, respected, listened to. We put ours in retirement home and spend thousands of dollars on trying to stay young and keeping them alive. They embrace old age. And they embrace it well considering that they age without all the ailments that we suffer from in the western world. We lose our « marbles » as John Robbins say in our modern world, they keep theirs until they die, well into their 100th year. They can walk for hours and faster than us. So what makes them different? Well, as indicated above, there is the factor of how they live with each other and how they see old age. But there is also what they eat. They don’t stuff themselves on processed foods, and tons of animal flesh. They actually barely ever eat any of that. Their diet consist of mostly whole foods, sometimes just picked raw with very little or not animal foods like milk and rarely meat. You could say they are near vegans, which is now proven to be the healthiest diet on earth. But diet alone does not explains their extraordinary healthy longevity. They also have a very active lifestyle consisting of physical work and long walks. Therefore, they are also very fit starting in youth and they carry it all the way to their late years. The book describe instances of visitors not being able to keep up with these people who were 40 years older than them! Their connection to each other seemed to me being the major factor creating the difference. Diet and exercise of course make a huge difference but if you have loving and respectful relationships between the generations, your quality of life is proven to improve dramatically. John Robbins shows how major studies in the western world are now proving the importance of « love » between people and how that affect health in the short and long terms. Until recent years, it was considered unrelated and generally ridiculed. There is clearly something that needs to be learned from these cultures. How backward really is our view of aging when all is considered is up to us. We are wiping out these people’s cultures by invading them with our western ways. I am just sad thinking about what is being lost. In Okinawa, for example, younger people have adopted the western diet and habits. They are dying younger and faster than their elders who have kept their old ways. How sad! So please read this book, it will bring you a new perspective on age and also point you to what needs to be done to save ourselves from this misery.